Trekking in Munnar Indian Style! Trekking in Munar is one of the best experiences one may have in Kerala, India. Read all about it here as well as the Best Places to Visit in Munnar in 1 Day!!! After one week of awesome luxury aboard the Deccan Odyssey Train (of Wonders), it was time to broaden our horizons and see a different side of India and what better destination to do so than Kerala, a state known as God’s Own Country. 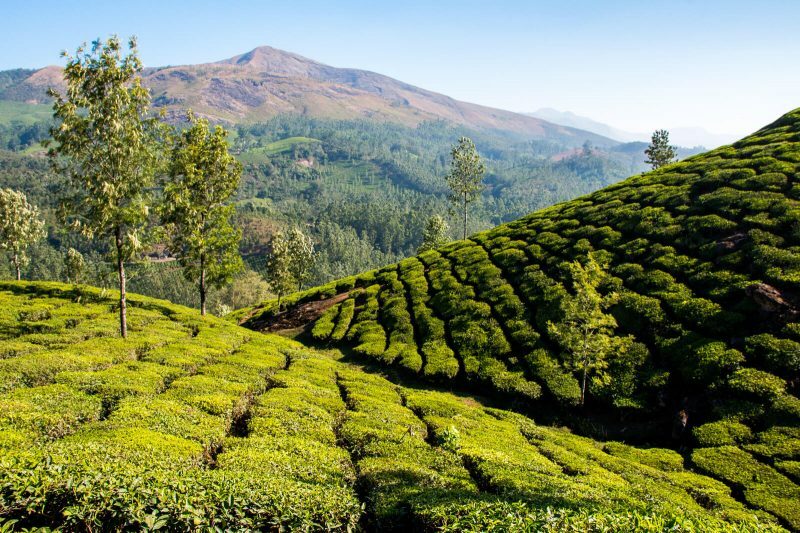 Ready to explore the wonders of Munnar and its beautiful tea plantations? Read all about trekking in Munnar here my wonder friends! 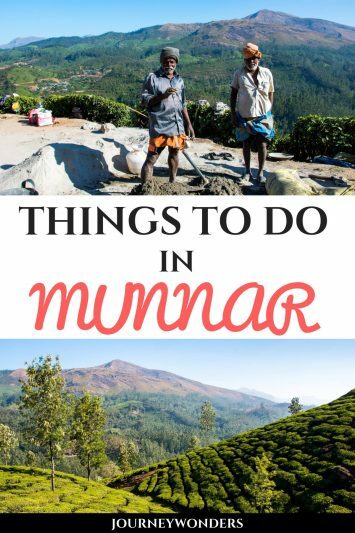 And don’t worry, if you’re short on time there’s also a handy guide about the best places to visit in Munnar in 1 Day. During our first full day in Munnar, my friend Mel from A Broken Backpack (be sure to check her blog, she’s quite funny despite being a French Canadian!!!) and I decided to just board a random Tuk Tuk, ask him to drive east from Munnar and then just ask him to drop us off near the most scenic tea plantation (which ended up being like 10KM away from Munnar). It was time to put our legs to good use and loose all that weight from the luxury train!!! And yes, I know what you’re thinking: “so wait, you just asked the Tuk Tuk guy to drop you off at a random spot”? But no, it wasn’t just a random spot, it was a very pictursque random spot!!! There’s an infinite number of those in Munnar so my best advice is just to pay by KM, ask to be dropped off whenever you see something that really fancies your eye and then start trekking from there back to Munnar. Trekking in Munnar without any clear destination or objective in mind is a truly beautiful experience in my opinion as you make your way through the tea plantations (the ones we encountered were all free to enter and you were able to walk trough them) and discovering new panoramic viewpoints constantly. The best part? All the friendly local workers we encountered were super friendly and they were so curious about the fact that I was wearing a mundu, a traditional Kerala skirt (yes, I know it isn’t technically a skirt but you know what I mean!!!) for men. 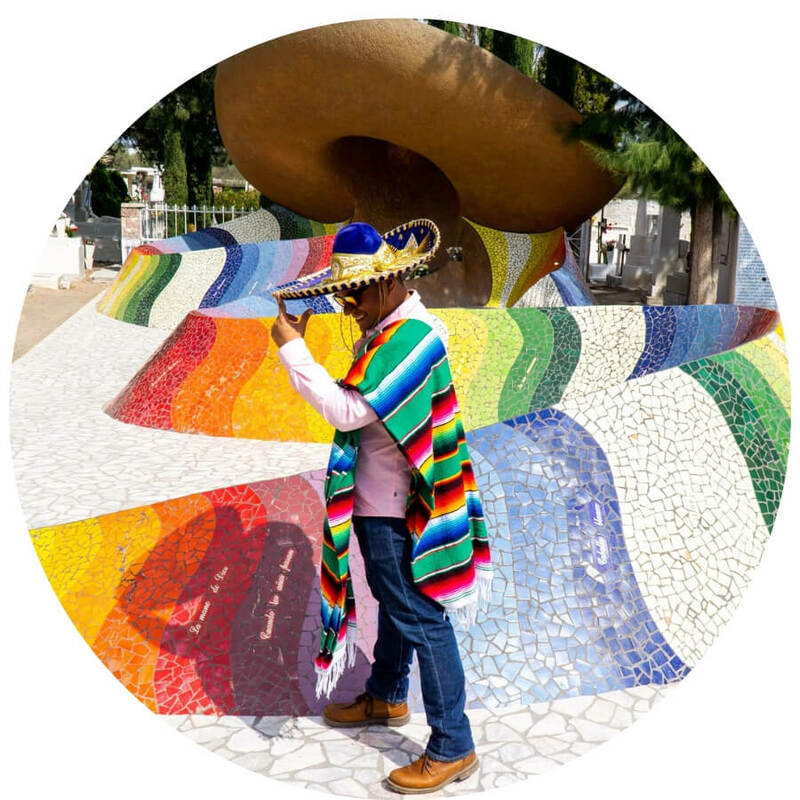 Am I a Mexican India, an Indian Mexican or both? You be the judge my friend!!! 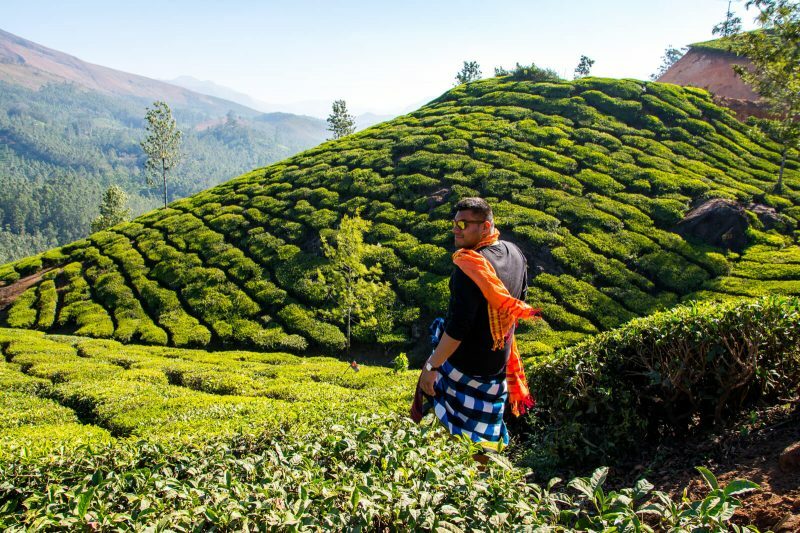 During our second day in Munnar, my friend and I decided to check out all of the main touristy sights located near Munnar town so if you’re short on time, you can skip Trekking in Munnar and instead hit these 3 best places to visit in Munnar in 1 Day. We recommend hiring a Tuk Tuk for the entire day instead of hiring one from Point A to B since it would be more convenient and hassle-free. And yes, be sure to haggle for the best price! You can read some of my best haggling tips here my friends! 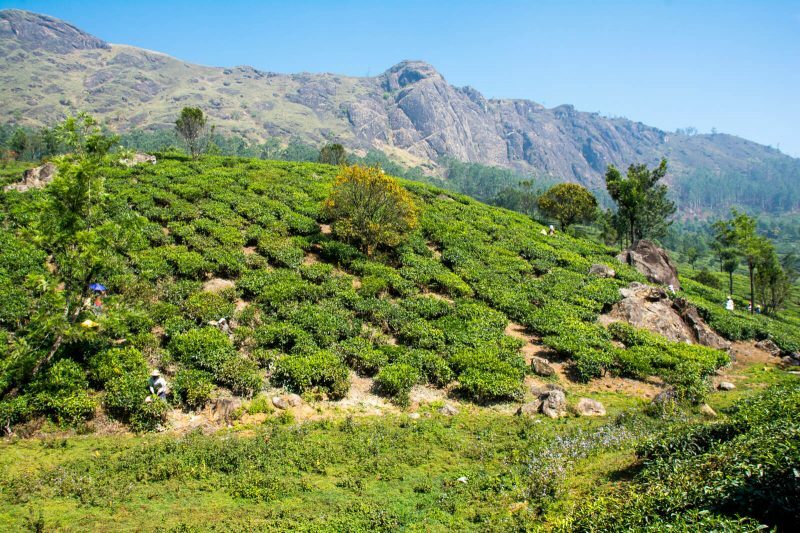 The first stop in your list of the best places to visit in Munnar in 1 Day is Chithirapuram, a hill town located 13 KM from Munnar (this is also the furthest place you’ll go this day since the other stops are located before it) where you can enjoy the quintessential tea plantation experience. Take a walk and enjoy the peaceful nature of it before heading off to the second stop on the best places to visit in Munnar in 1 Day: the Atukkad Waterfalls. These falls are located between Munnar and Chithirapuram and the trail to reach them is just pure beauty!!! 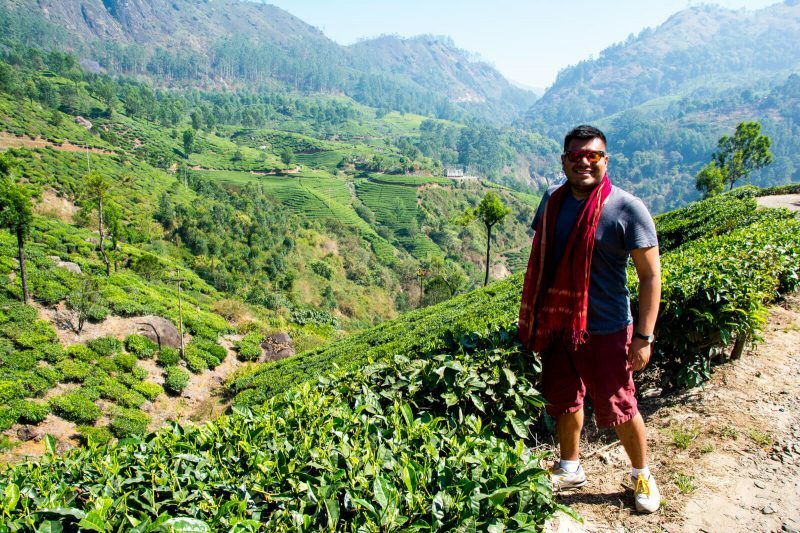 If you ask me, the best views of the waterfalls can be seen from the tea plantations on the way to it so I won’t judge you if you don’t make it all the way to the bottom of the falls (I know for sure we didn’t Hahaha). 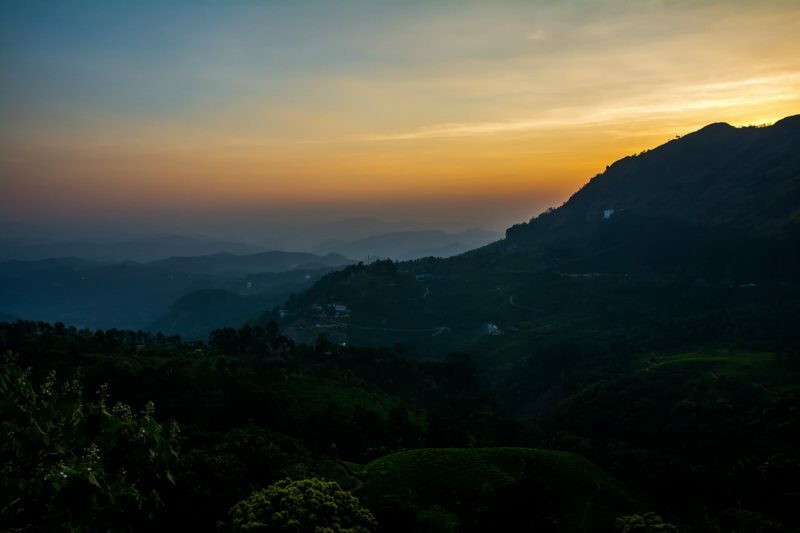 And finally, the last stop on the best places to visit in Munnar in 1 Day is the Pothamedu Viewpoint (5KM south of Munnar), a beautiful place that is the locals’ favorite for watching the sunset and well, it isn’t hard to see why. 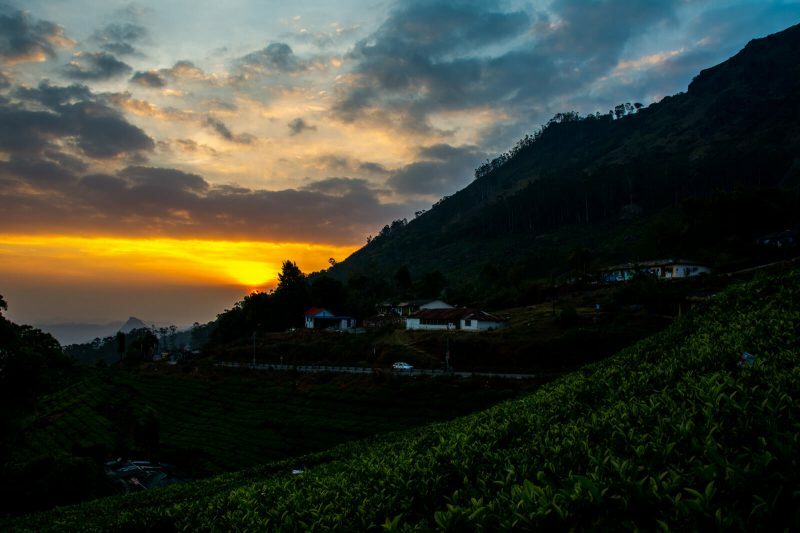 Located at a high elevation, here you can see how the sun hides behind the tea plantations and the Munnar hills giving you an unprecedented view of Kerala. Kerala is known as God’s Own Country and sunsets like this are one of the reasons why. Thank you Munnar, you truly made my trip to Kerala a wonderful one. 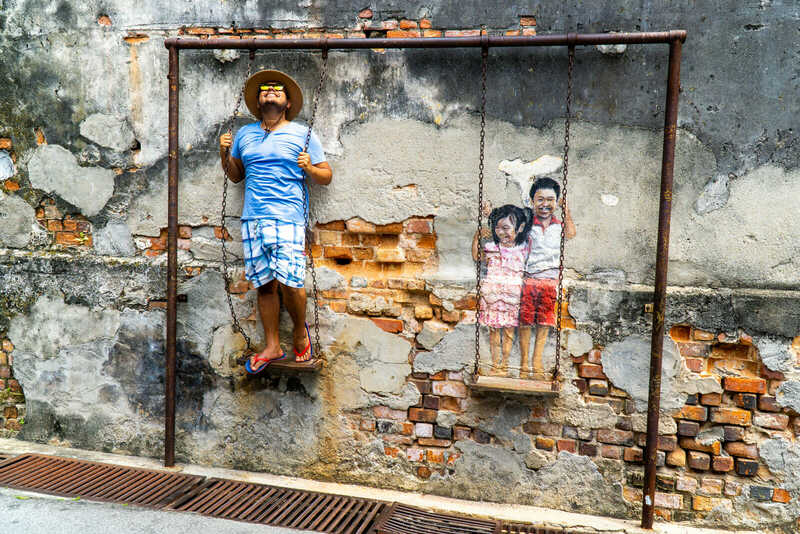 All Kerala itineraries usually start in Fort Kochi and involve going to the Kerala Backwaters in Alappuzha (Alleppey) before heading east towards Munnar. 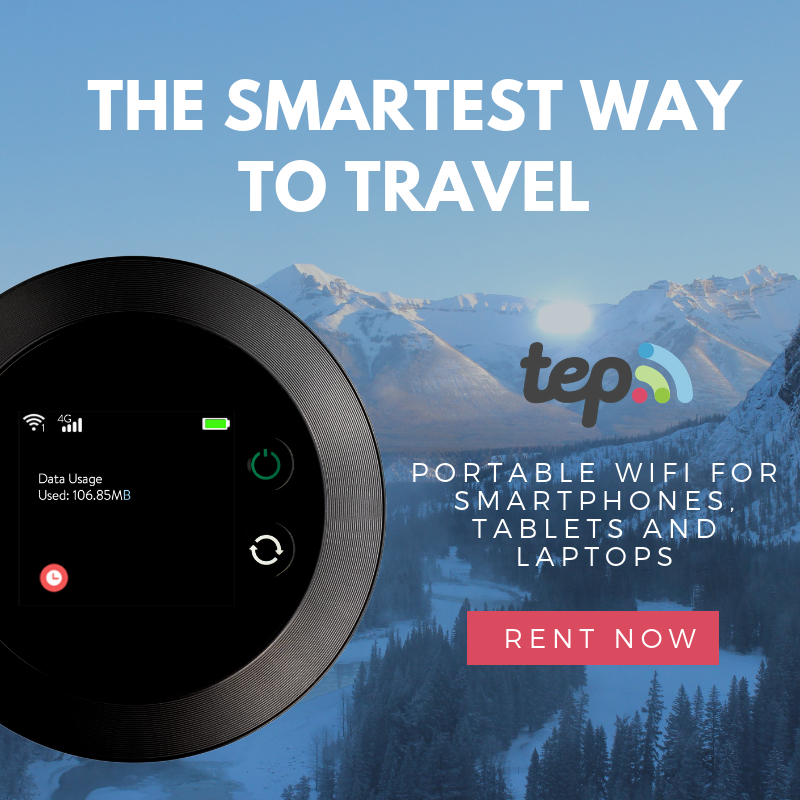 However, if you’re traveling outside of a tour group, you might be puzzled and confused when it comes to how to get from Fort Kochi to Munnar since there’s no direct buses and private transfers are usually very pricey. But hey, this is India we’re talking about. Surely there must be an obscure local bus to Munnar from Fort Kochi, right? Luckily, my friend Mel is a complete planning freak so she did some research about it: from Fort Kochi you need to take a ferry (which costs 4 INR) to Ernakulam, a city located a few minutes away from Fort Kochi and from where the bus station is located. Buses to Munnar leave roughly every hour or two (depending on the season) and will set you back 100 INR. The journey can take up to 5 hours so bring some snacks and yes, tons of water. Buses are very basic (no A/C, no toilets) but you will get to experience the real India so that’s a big plus for me!!! 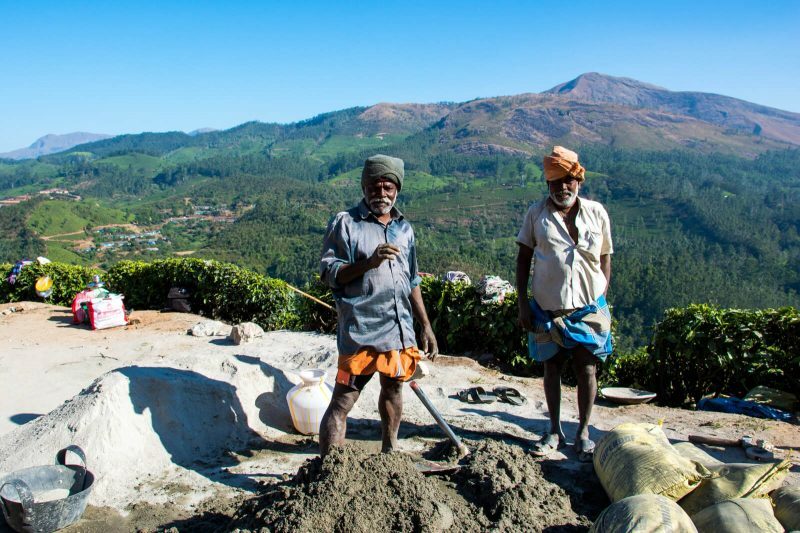 You can read Mel’s details of the bus journey from Ernakulam to Munnar here! From Munnar, we went onwards to Bangalore (12 hours bus ride!!!) then to the ruins of Hampi in Karnataka so you could always do the same journey in reverse my friends. 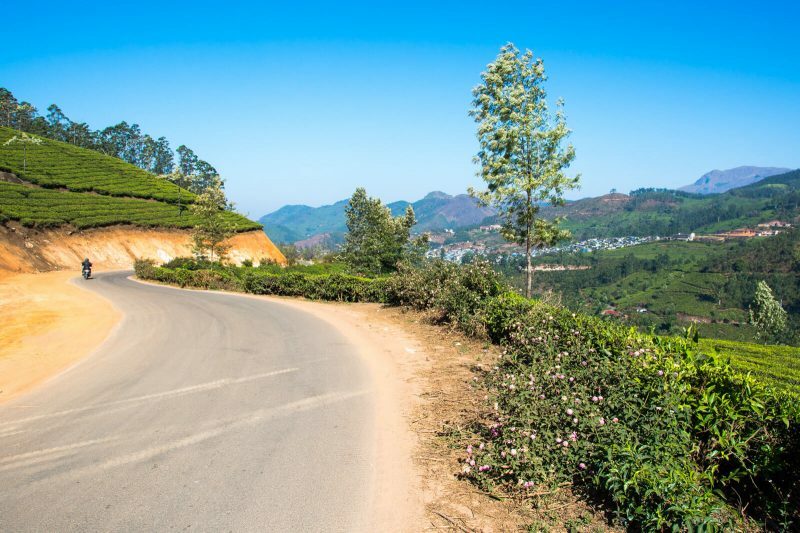 One thing to look out when looking for accommodation in Munnar is that Munnar itself is a really basic city with no beautiful attractions of its own: everything worth seeing (including the tea plantations) are actually a few KM outside of Munnar itself. 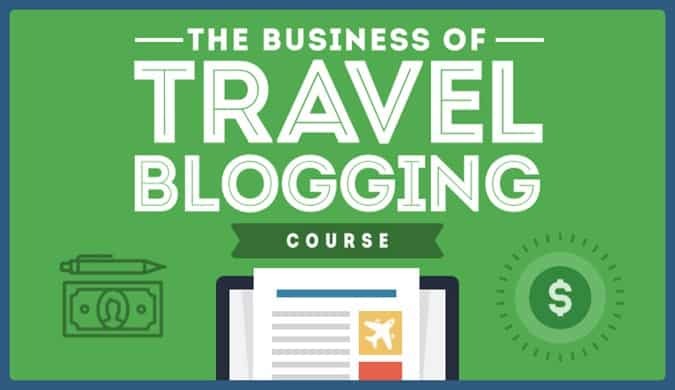 This, of course, includes some of the best hotels and resorts in all of India. During my most recent stay in Munnar, my friend Mel and I were hosted at the Kaivalyam Retreat, a luxury property located 7KM south of Munnar itself. 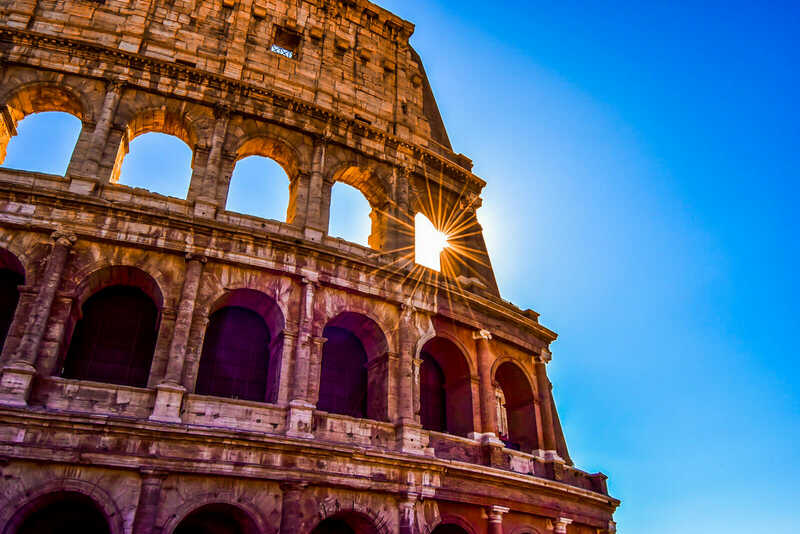 They have spacious rooms, amazing food and a friendly driver that can take you to some of the best treks and sights for free. I really want to return one day! I hope you have enjoyed this article about Trekking in Munnar and the Places to Visit in Munnar in 1 Day. Don’t forget to subscribe in order to get more awesome updates and tips straight to your e-mail! Have you ever been to Munnar, Kerala? Would you like to? What was your experience like? Share your thoughts and let me know what you think!